Anns a’ Boston Globe an-dè, dh’aithris Britt Patterson mun aiseiridh a thathas a’ faicinn ann am ficsean-saidheans anns a’ Chuimris an-dràsta. 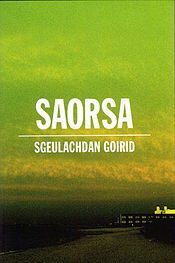 Thug Patterson iomradh sònraichte air an nobhail ùir fhicsean-saidheans, Un Man, le Joanna Davies, a choisinn leabhar na mìosa le Comhairle nan Leabhraichean Cuimris. Bhruidhinn Patterson ri Miriam Elis Jones, oileanach PhD a tha a’ sgrùdadh ficsean-saidheans anns a’ Chuimris agus a chumas blog, Gwyddonias, a-mach air ficsean-saidheans agus ga sgrìobhadh anns a’ Chuimris, agus airson co-theacsa Ameireaganach, bhruidhinn Patterson ri Grace Dillon, a dheasaich co-chruinneachadh de sgeulachdan ficsean-saidheans le ùghdaran tùsanach, Walking the Clouds. Chan eil gin dhe na sgeulachdan ann an Walking Clouds ann an cànan tùsanach ge tà. 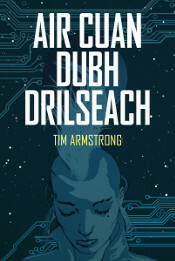 A rèir Dillon, cha deach ficsean-saidheans sam bith a sgrìobhadh ann an cànan tùsanach ann an Ameireaga, agus mhol Patterson gur e cionn taic sructarach as coireach. Is cinnteach gu bheil i ceart. An cànan Diné (Navajo) gu aon taobh, tha na cànanan tùsanach anns na Stàitean ann an suideachadh uabhasach bochd. Ach cò aige a tha fios? Ma dh’fhaoidte gur e a’ chiad cheum a th’ ann gum foillsichear cruinneachadh mar Walking the Clouds, agus gum brosnaich an cruinneachadh ùghdaran tùsanach gu feuchainn ficsean-saidheans anns na cànanan aca fhèin. Bhiodh e sgoinneil nan nochdadh ficsean-saidheans ann an cànanan tùsanach Ameireaganach anns an àm ri teachd, agus gu cinnteach, tha mi a’ dol a cheannach Walking the Clouds, agus feuch dè th’ aca. 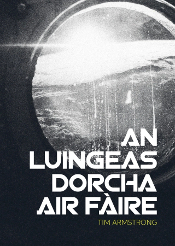 ’S e an teachdaireachd aig Patterson gu bheil ficsean-saidheans ann am mion-chànanan uabhasach cudromach – ‘imagining an indigenous future’ mar a th’ aca anns an sanasachd do Walking the Clouds – agus tha mi an dòchas gu bheil an t-alt aig Patterson na chomharra gu bheil ficsean-saidheans ann an iomadh cànan beag a’ fàs na bitheanta.